Sign up for a FREE JBF account. Clean out your closets & cash in at our twice-a-year events. We will show you how to gather, price, and tag your items so you can MAKE money! Bring your items to the sale & watch your sales grow. Your check arrives 2 weeks after the sale. Sit back and enjoy clean closets and money in your pocket! Fort Worth area familes sell an average of about $400 of items each sale and SO CAN YOU! 1. Consignors earn 60% on their sales and an extra 10% if they are able to help out at the sale. 2. Consignors must pay a Consignor Fee before the sale. Fees are discounted if paid early. CLICK HERE to pay your Consignor Fee. 3. Consignors will print, fill out, and bring their Consignor Waiver with them to Drop Off. CLICK HERE to print your Consignor Waiver. 4. Consignors register online before the sale. Follow the LOGIN link top right of the website to register. 5. Consignors and 1 Guest get to shop early before we open to the public and also get to shop our 1/2 Price Presale. 6. Consignor checks are emailed (eChecks that can be printed at home on regular paper with regular ink) about 2 weeks after the end of the sale. More details are in the Consignor Information Page that can be found by CLICKING HERE. Join our #JBF817 Team! Over 300 parents and grandparents work at the sale to help provide the best shopping experience for our community, doing everything from setting up the event to greeting shoppers to helping with merchandising. The more you volunteer, the earlier you shop! Volunteer shifts are selected online through the LOGIN link top right of the website. The online Volunteer Scheduler will be open from late January through 2/23/19 at 10 am. After that, if you are a consignor, you will sign up for a volunteer shift at Drop Off. If you are not a consignor and you missed the deadline, please email FtWorthVol@jbfsale.com and let us know when you are hoping to work and we will find a spot for you. CLICK HERE to see the Volunteer Perks for helping out 4, 8, 12, or 16 hours. For complete details on Volunteering including how to shop items at 75% off the ticket price, please CLICK HERE. Questions for the Volunteer Manager? Email or Call - FtWorthVol@jbfsale.com and 817-739-8122. This phone and email address is only monitored during the sale. Please contact Joanie with questions before or after the sale. Consignors who Drop Off for the first time on 2/28/19 will receive one 2nd Drop Off Consignor Pass and one 2nd Drop Off Consignor Guest Pass for the 1/2 Price Presale on 3/2/19 from 5:30-10pm. If you would like to stay with your vehicle and have our helpful volunteers come to you, do your paperwork with you, unload your items, take your items in, inspect them, and put them out for you, Valet Drop Off is for you! Any items that do not pass Inspection will be returned to you at Pick Up at the end of the sale. Valet Drop Off is by appointment only and the fee schedule, based on the number of items you have, is below. This service is unable to accept any items that require set up. Only one consignor number may be checked in with each appointment time. Fees for multiple appointment times for the same consignor number will be assessed separately. Contact Joanie to book your appointment. Spaces are limited. More than 300 Items - Please contact Joanie to discuss. If you have 400 or more items (400 or more separate tags) under one consignor number and would like to make an appointment for Drop Off, we have a limited number of available appointments. The process is the same as our regular Drop Off, it is just in a separate area designed to accommodate a larger quantity of items. Consignors with 400 or more items may go through the regular Drop Off process if they prefer. CLICK HERE for more information for Consignors. 7:01 pm - Loading of donation trucks begins - all items not picked up by 7 pm will be donated. No early pickup before 4 pm is allowed because we will not have our Pick Up Team in place before then. We are pleased to offer Valet Pick Up for those unable to make it to Pick Up on 3/4/19. The Fee Schedule, based on the number of items remaining, is below. No furniture or any item that has to be disassembled will be accepted. Contact Joanie by 3/2/19 for more information. Space is limited. Over 200 items - we are unable to help you due to our lack of storage. The Valet Pick Up Items will be held for your pick up until 3/19/19. If not picked up by then, they will be donated on 3/20/19. Diaper bags, infant carriers, slings, and backpacks are great consignment items. Please inspect all items carefully to make sure items have not been recalled, stained, damaged, or are missing pieces. Package: Please zip-tie items to an adult-sized hanger. If you would like to place high-priced items (over $20) in our High Value Cabinet or High Value Rack by the Hold Area, please see a volunteer at Drop Off for assistance. Tag: Safety pin JBF tag to the item or hole-punch the tag (reinforce hole with packing tape) and and attach it to item with ribbon or string. If item contains multiple pieces, be sure all pieces are included and list number of items on JBF tag description. Bedding sizes accepted are bassinet through twin only. Please do not bring twin sizes that are not children's bedding. The only exception is if you have full-sized child-themed/character bedding (not just a solid color or denim, etc.). Please be selective when selling bedding, blankets, receiving blankets, burp cloths, and towels. New and barely used items sell best. Check carefully for stains. Package: Put bedding/crib/bedroom sets together in original packaging or in giant clear plastic bags. Arrange bedding sets inside bag so that shoppers can see all of the items as well as the design/pattern. Secure the bag so that items do not get separated. Bundle blankets, cloths, and towels with ribbon or string like a package (be sure multiple pieces cannot be separated). You may also use a pant hanger to display your blankets. If you drape them over the hanger's cardboard tube, be sure to safety pin the blanket to itself just under the hanger tube so it won't fall off. We do have a Testing Station for our shoppers to request a volunteer help them unpack an item so it can be fully inspected. Our volunteers will do their best to repackage the item as you had it. Tag: If bedding is in a plastic bag, attach tag securely with packing tape to the inside of the bag and tape the bag shut (bedding set prices vary widely and securing tags inside bags prevents tag switching). If bedding/blankets are bundled with string, attach tag directly to blanket and tuck it under the ribbon/string so that it does not easily get pulled off when shifting around during the sale. - Limit of 20 books per consignor. - No pregnancy/child birth, parenting, child-rearing books allowed at the sale. Books, book sets, board games, puzzles, video games, video game systems, scrapbook, and arts & crafts sets are great items for resale. Please only bring children's and homeschool curriculum books. No R rated movies or M rated video games are allowed. No VHS tapes are accepted. Games and puzzles must have all pieces. (No "adult" content please.) Check items to ensure they are in great condition and tape or tie the box closed. Package: Use clear, self-seal bags or clear cling wrap (saran wrap) to hold multiple items together. Tie sets of books together with ribbon/string. Be sure that parts/games to video game systems (such as Vtech) cannot be separated or switched out at the sale. Higher priced items can be placed in the High Value Cabinet by the Hold Area. Please ask a volunteer for help putting things in there during Drop Off. Price: Prices can range from $.50 to $50 in this category, depending on the item. Price to sell especially for books and DVDs as there are always lots to choose from at the sale. If you would like a high-priced item placed in the High Value Cabinet by the Hold Area, please see a volunteer during Drop Off. Tag: When tagging books, please attach your tag to the outside of the book with blue painter's tape that can be removed without damaging the item. Please do not use packing, masking, or double sided tape. We sell children's clothing Newborn through size Juniors 5/Small for girls and through size 18/20 for boys in addition to maternity clothing. Men's size Small and Medium (not larger than size 34 waist in shorts or pants) will be accepted in limited brands - brands that boys would wear like Nike, UA, A&F, Polo, etc. Items that are deemed more appropriate for adults will be pulled and returned to you. - No fleece accepted in the spring for any sizes over 18 months. The Spring Sale is spring and summer clothing only (what your child would wear in our area between March and September). We do accept long pants, long sleeved shirts, and lightweight sweaters or wind-breakers at our Spring sale, but no heavy fabrics or holiday wear. The Fall Sale is fall and winter clothing only (what your child would wear in our area between September and March). We will accept shorts and short sleeved shirts, but not swimwear, tank tops, or light-weight summer fabrics. All seasons of maternity clothing are accepted at both the Fall and Spring sale, but you may only bring 15 maternity clothing items each sale. Large-sized non-maternity clothing that you may have worn as maternity clothes are not accepted. Don't forget that costumes sell great year-round. Be picky! Look at your clothing items as if you were going to purchase them. No stained or damaged items will be accepted. Any items that look like "mom's" clothes will be rejected at Inspection. Please freshly clean your clothing items. Replace missing buttons, sew loose hems and seams, and clip loose threads. Button all buttons, snap all snaps, zip all zippers before you arrive at Drop Off. This will ensure that there are no defects in the clothing. The newer the item looks (and the better it smells), the better it will sell. Any type of hanger may be used but we ask that you use a child-sized hanger for clothing up through size 5. Adult sized wire hangers can be crimped down and used without damaging a smaller size. Some hangers are very flimsy so choose carefully so that your item won't fall to the floor if the hanger breaks. Some retailers/outlet stores give away hangers. Hangers will no longer be sold before the sale. Tagging Gun Kits will only be sold via mail. Please hang clothes so when you are looking at the front of the item, the hanger hook points to the left (like a question mark). Clothing sets tend to sell better (under size 6) so match things up if you can. Safety pin clothing sets securely with bottom garment hung on the backside of the shirt, so both pieces can be viewed without separating them. Make sure all pieces are pinned so that the safety pin goes around the hanger. This will keep the weight of the 2nd item from pulling too much on the front item and potentially damaging it. When selling pants, shorts, or a skirt, pin the item to the top/angled part of the hanger and NOT to the bottom/horizontal part. This will keep the item from slipping off to one side where shoppers won't even see it. If an item can be hung up, including onesies, it needs to be hung up. Accessories like socks, tights, hats, and mittens/gloves can be pinned together or loose, or they may placed in a clear zip-lock bag (you may group multiple items of the same size in one bag). Please be sure to label your tag well so that customers will know exactly what is in the bag. Underwear, cloth diapers, and reusable swim diapers may not be put in a ziploc bag. New in package underwear is an exception. Price: The Pricing Guidelines link at the bottom of this page is a big help when pricing clothing. All hanging items must be priced at least $3. If you feel like your single item cannot bring $3, make an outfit or group like sized/like styled items together to bring it up to at least $3. We recommend pricing Newborn through 2T in the 70-80% off retail range due to the large volume of clothing in these sizes. Non-Hanging Items can be priced as low as 50 cents. Tag: You may use a safety pin or a tagging gun to attach the JBF tag. If you are using a safety pin, attach the tag to the upper right front of the item (right side when you are looking at the item). If it is a delicate fabric, please be careful so that the safety pin does not leave a hole in the item. You may pin it to the manufacturer's tag if you think it might damage the item. If you are using a tagging gun, attach the JBF tag to either the manufacturer's tag at the neck or waist, or if there is not one, please attach it to the underarm seam for shirts and waist or pocket seams for pants. If the tagging gun is used improperly, it will ruin the clothing item and cause it to be rejected at Inspection. A gentle pull on the tag to make sure it is properly secured and will not come off easily is wise. If your accessories are in a ziploc bag, you may use clear packing tape to attach the price tag to the outside of the bag. All underwear, cloth diapers, and reusable swim diapers may not be put in a bag unless they are new in package. If your items are not in a bag, you may use a safety pin or a tagging gun to attach the tag to the item, being careful not to damage the item. See note above about underwear, cloth diapers, and reusable swim diapers. Children's Equipment - exersaucers, swings, bouncers, high chairs, changing tables, cribs (Manufactured AFTER June 28, 2011 - please bring Crib Checklist), strollers, bath seats, baby walkers, pack and plays, car seats, and car seat accessories must be checked for safety recalls, must have all parts, and be in good condition. Car seats cannot be more than 1 year from their expiration date. See the Safety & Recall link at the bottom of this page to check your items. These items are some of the hottest sellers at JBF. Children's furniture - beds (crib, toddler, twin, bunk), desks, side tables, dressers, storage solutions, etc. are always popular and must be in good condition. Household furniture - please see Mommy Mart information below. Children's Room Decor - wall art, figurines, area rugs, lamps, etc. sell well if the price is right. Please do not bring these items from other areas of your home - they must be from a child's room. It is very important that you bring tools and "muscle" to set up any items that need setting up. JBF's savvy shoppers will be very leery to buy an item that is not fully set up. Package: If item has multiple pieces, use packaging tape, zip-ties, ribbon, or string to keep items attached together. If wooden furniture has loose parts, use clear plastic wrap to secure item or put them in a ziploc bag and secure the bag to the main piece of equipment/furniture. In addition to assembling all of your items, working batteries must be included, if applicable. Please bring a Car Seat Checklist for all car seats, booster seats, car seat bases, and infant carriers. Remember, this also applies to infant carriers that are part of a stroller travel system. We cannot sell an item unless we have a checklist for it. Tag: Attach JBF tag directly to the item with clear packing tape, a safety pin, or hole-punch the JBF tag (reinforce the hole with clear packing tape) and tie it to item with ribbon or string. Nursing covers and pillows, feeding items, breast pumps, monitors, safety items, diapering and toileting items, rattles, and more. Please check for safety recalls on all items that you consign by using the link below. Package: If item has multiple pieces, use packing tape, safety pins, or ziploc bags to keep items attached together and clearly visible to shoppers. Working batteries must be included, if applicable. Tag: Attach JBF tag directly to item or ziploc bag or hole-punch JBF tag (reinforce hole with clear packing tape) and tie it to item with ribbon or string. Mommy Mart: We gladly accept dining room/dinette sets, bookcases/entertainment centers, coffee tables, end tables, bedroom sets, dressers, chests, armoires, desks, or porch/patio furniture. We cannot accept any upholstered items with the exception of dining room/dinette set chairs. Daddy Mart: We gladly accept NEW/UNUSED (preferably in the unopened box) items like grills, large-scale tools (like power tools), workbenches, etc. Please email Joanie about your item before you bring it to check for acceptability. These must be new and unused items to be acceptable. Remember this is for large items. We are unable to accept antiques, upholstered chairs and couches (with the exception of dining room chairs with a set), exercise equipment, lamps, knick knacks, figurines, electronics (TVs, VCRs, DVD players, etc. ), kitchen/household appliances, floral arrangements, holiday decorations, dishes, TV trays, pictures, mattress sets, luggage, used grills, or used power tools. If you have a question about the acceptability of your item, please contact Joanie ahead of time to check before you go to the effort to bring it down to the sale. Package: If selling multiple pieces together, be sure that all pieces are secured together. Price: Price to sell! These items are not the primary reason shoppers come to JBF, so price low! Make sure your JBF tag mentions all of the pieces included. Tag: Secure the tag to the item to ensure that the tag does not fall off during the sale and so the item is not damaged when the tag is removed after purchase. Make sure that shoes (and laces) are clean, clean, clean! At the start of the sale, we will feature our "Top Shelf Shoes" on the tables with those shoes that aren't Top Shelf in bins below the table. As the sale progresses, the shoes in the bins will be moved up to the tables. Bring your Top Shelf Shoes - our shoppers will love them! We will be VERY selective with shoes during Consignor Drop Off & Inspection. Mr. Clean Magic Erasers work great to remove scuffs. Shoes may be any season at the Spring and Fall sales event. All sizes are accepted but remember, they must be kid appropriate. Don't forget athletic cleats and dance/tap shoes. Package: If they have laces, tie the laces together in a knot. Fasten shoes together with zip ties, ribbon, or a large safety pin if they don't have laces. If there is no way to attach them together, they are infant/crib shoes, or the use of a safety pin would damage the shoe, they may be placed in a ziploc bag. Please do not seal the bag as our Shoe Inspection Team will have to remove the shoes to inspect them. No shoe boxes please. Price: Shoes must be in good condition and should be priced 50% - 90% off retail. Tag: Safety pin your tag to the shoe/laces or you may hole-punch your JBF tag (reinforce the hole with clear packing tape) in the top of the tag and attach the tag to the shoes with ribbon, string, or a zip tie. For any shoes that you had to put in a ziploc bag, please place the tag inside the bag. The bag can be taped close after the shoes pass Inspection. Ride-on toys, block sets, dolls, remote control cars, outdoor toys, learning toys, and more. We do accept stuffed animals but you are limited to 5 stuffed animals per consignor. Please be picky about what you bring and wash them before you bring them. All toys must be checked for safety recalls before consigning. See the Safety & Recall link at the bottom of this page. Clean all toys and baby equipment thoroughly. Please test to make sure that toys and equipment are working properly. Battery operated toys must include working batteries. Inexpensive batteries may be purchased at the dollar store or Harbor Freight. Please ensure all toys that have been left outside do not have water in them. Package: Keeping tags and multiple items attached is essential for your items to sell. Bag all small parts belonging to toys/equipment in ziploc bags and tape the bag shut with clear packing tape. Fasten the bag securely to the item with ribbon, packing tape, or zip ties. Items must include ALL working parts. Tag: Attach JBF tag directly to item with clear packing tape or hole-punch the JBF tag at the top of the tag (reinforce hole with clear packing tape) and tie it to item with a zip tie, string, or ribbon. If packing tape will damage the item when it is removed (for decals, stickers, etc.) please use blue painters tape or use the ziptie/string/ribbon method. Keep in mind that while blue painters tape is a good way not to damage decals, its lack of "stickiness" may not keep your items together. Hangers are no longer being sold before the sale. Tagging Gun Kits are only being sold by mail. White Card Stock is REQUIRED for your tags - Do not use regular paper (the tag will easily pull off of your item and not scan well). Colored card stock will not scan well at the registers, so please use white cards stock only. Hangers - Child or Adult sized hangers, depending on the size of clothes you are preparing ~ plastic or wire hangers are acceptable. We recommend kid hangers for size 5 and under and adult hangers for sizes 6 & up. Clear Packing Tape - Do not use scotch tape, masking tape, or duct tape. Blue Painters Tape - This is great for attaching tags to items you don't want to damage like books, painted furniture, toys with decals, etc. Scissors - A paper cutter is good to cut tags if you have one, but not necessary. Clear Self Sealing Bags - You will use several sizes of these for many different items. Ribbon, String, or Zip Ties - Keeps shoes and multi-pieced items together. Tagging Gun and/or Safety Pins - Size 2 (1 1/2") is the best sizes to use. Plastic Wrap - Great for puzzles. Cleaning Supplies - For cleaning and disinfecting items. We love Magic Erasers! Batteries - All battery-operated toys must have working batteries installed. Remember, one of the keys to selling your items is to have them prepared and tagged properly! Tagging Gun Kits are only being sold by mail and include the tagging gun, 500 barbs, an extra needle, about 20 sheets of card stock, and a few safety pins to get you started for $20. Additional barbs can be purchased at a cost of $1 for 500 barbs. Postage and handling charges will be added to the order. JBF has three great ways for your group to raise money. Two are by selling items and the other is by helping us out when we sort unsold items and pull out donates for our charity partners. We love helping area associations and groups by being a fundraising partner! Sign up your group to consign. Gather items from your group numbers and tag them under the one number assigned to the group. For non-profit groups, we are pleased to pay 70% on all items sold without the requirement to volunteer and will waive your consignor fee. Contact Joanie for other eligibility requirements. This is a great way to earn money for your school! Tag all items under that one number. Make 70% on your items that sell and your consignor fee will be waived. Receive 4 FREE Passes to the PTA Presale (an $80 value). Additionally, you will receive one Consignor Presale Pass and one Consignor Guest Pass. You can volunteer to shop earlier, but volunteering will not earn you a higher percentage on your sold items. This program is designed to help you raise money for your organization. Organizations volunteer during our sorting time, organizing the unsold items and helping our charity partners by pulling out donated items. JBF makes a donation to your organization! It's fun and easy! Contact Joanie for details. Getting your friends involved in JBF Fort Worth not only makes you a hero but also puts more money in your pocket! We are happy to share our Consignor Referral Bonus program with you! Here are the details. 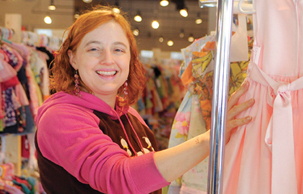 You tell your friends and family about JBF Fort Worth and get them to consign. Your friend emails Joanie@jbfsale.com before the sale and reports who referred them. Email is the ONLY way referrals will be tabulated. If your friend has NEVER before consigned at JBF Fort Worth or if they have not consigned since before the Spring 2015 JBF Fort Worth sales event, you will get the Consignor Referral Bonus of $15/referred consignor. This referral bonus is only paid out to Spring 2019 JBF Fort Worth consignors and it will be added to your consignor check. It's that easy! Get 5 new friends to consign at JBF and you'll get an extra $75 in your pocket! JBF shoppers love big items at the sale, so we have a program to reward consignors who bring and sell large items. Here are the details. You bring a large item and price it $200.00 or higher. You may price it to be reduced during the 1/2 Price Sale but the Bonus only applies if it sells for $200 or higher. You make an additional 10% on that sold item. Bring your large items and make more money! This offer cannot be combined with any other special incentive offers other than the extra 10% you receive when volunteering. Do you have a bunch of great things you would like to sell but you just don't have time to get them tagged? We have a solution for you and it is our DropNGo Tagging Service. We will even store your unsold items for up to two more sales and try to help you sell them. 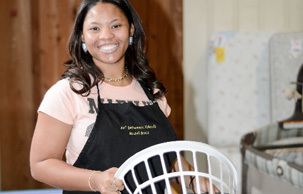 We would love to help you clear out items and make some money, but space is limited. For more information, please email Joanie! Perfect Inspection is a way that we are rewarding consignors who didn't have any rejected items from the previous sale. If you are willing to spend the time at home making sure your items are perfect and none of them are pulled during Inspection or during the sale, we will reward you by allowing you to skip the Inspection process (except for shoes & car seats) at the next event! Any unacceptable items that are pulled from the floor, including recalled items, items missing batteries, items we do not accept, etc. will be included when we make our Perfect Inspection list. Those who had Perfect Inspection at the last sale will be notified when they check in at this sale. The list for those who make Perfect Inspection only goes back to the previous event, so if you miss a sale, your Perfect Inspection from a year ago will not carry forward and you will have to go through Inspection. We thank you for taking the time at home to bring items in great shape! Consignors pay a fee to participate. All consignor fees must be paid online before the sale. Prepaying helps us plan the event, therefore, the earlier you pay, the easier planning is, so we discount the fee for early birds! Here is the schedule for online payments. CLICK HERE to pay your Consignor Fee. There is a small handling charge. If you are paying someone else's fee or if the credit card you are paying with is under a different name than your name on the JBF database, please email Joanie with that information so your fee can be properly credited to you. You do not have to bring a copy of your fee payment confirmation with you to Drop Off. We are pleased to offer to our consignors this FREE program where you will be matched with an experienced consignor who will contact you and help you work through all of the details of consigning. We encourage you to look around the entire website where most of your questions will be answered, but if you need a little extra help from an insider who has been in your shoes, we would love to match you with a Consignor Mentor. Email Joanie to be matched. Leading up to each sale, we offer JBF101 "How To" Conference Calls where you can call in and ask any JBF question you have. No question is too small...we just want to help you be the best consignor that you can be.